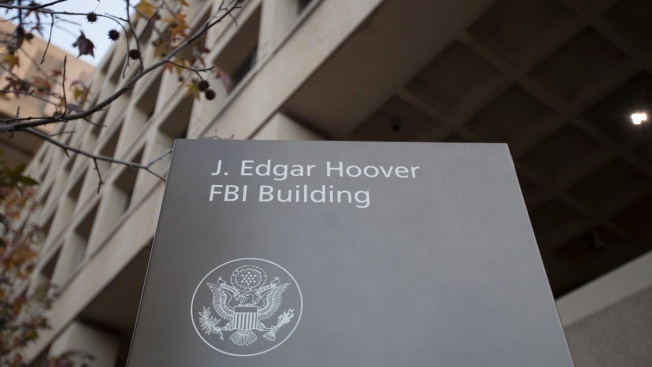 This Nov. 30, 2017, file photo, shows the J. Edgar Hoover Federal Bureau of Investigations (FBI) Building in Washington. An FBI agent removed from special counsel Robert Mueller's team because of anti-Donald Trump text messages has been escorted out of the FBI building "as part of the ongoing internal proceedings," his attorney said Tuesday. Peter Strzok "remains a proud FBI agent" who wants to serve his country but has been the "target of unfounded personal attacks, political games and inappropriate information leaks," according to a statement from lawyer Aitan Goelman. Goelman said that "despite being put through a highly questionable process, Pete has complied with every FBI procedure, including being escorted from the building as part of the ongoing internal proceedings." Strzok, a seasoned counterintelligence agent, was a lead agent on the investigation into whether Hillary Clinton illegally mishandled classified information through her use of a private email server while secretary of state. He later joined Mueller's team investigating Russian election interference but was reassigned last summer after the discovery of anti-Trump text messages he had traded with an FBI lawyer. One of the texts, from August 2016, showed Strzok saying, "We'll stop it," in reference to a potential Trump election win. 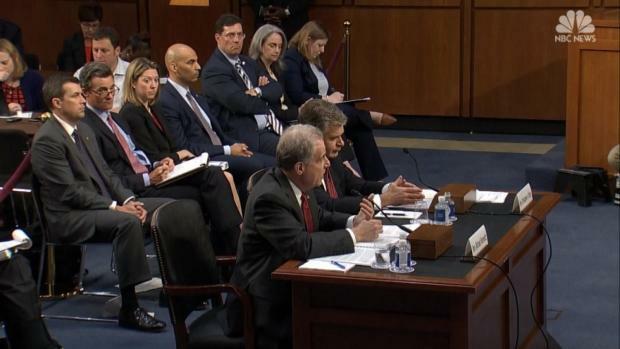 United States senators grilled FBI Director Christopher Wray on Capitol Hill, questioning the findings from the Justice Department inspector general's scathing report on the FBI's handling of the Hillary Clinton email investigation. Republicans were eager to hear from Inspector General Michael Horowitz, who found that five FBI agents had an anti-Trump bias. A Justice Department inspector general report last week sharply criticized Strzok and the lawyer, Lisa Page, for creating an appearance of impropriety through their anti-Trump communications. But the report said the investigation's conclusions, including that Clinton should not be prosecuted, weren't shaped by political bias.